As a Saint Albans plumber that's been around for a while, we understand that a lot of homeowners would rather ignore small plumbing problems. It is easy to ignore issues with your plumbing system, especially those that do not seem to cause too much trouble, like a leaky faucet. The truth is, though, not only are you paying for wasted water, but putting up with those seemingly small inconveniences now may only turn into the need for major plumbing repairs in Saint Albans, NY later. There are some symptoms to look for in evaluating your plumbing needs. If you notice any of the follow, be sure to call your professional plumber at Bluewater Plumbing, Heating, and Air Conditioning as soon as possible for optimum results. 1. You have to use the plunger on your stool often. Your septic system might be clogged with tree roots or your septic tank might need to be pumped out. The problem could be as simple as a design flaw. The plumbing might have been designed in such a way that there are too many sharp turns for sufficient release of the waste. 2. Your faucets screech when you turn them on. This means you have air in the lines. It might have happened as a result of a water main break where your water was shut off for a time. On the other hand, there is a system in the plumbing that is made specifically to bleed off air. This may not be functioning properly. 3. You have low water pressure. If you have old galvanized pipes, they may be clogged full of residue and sediment. Another scenario is a home with pipe diameters that are not adequate to carry the water well. You may also have a leak. If it is on your side of the water meter, you are losing money every minute the water pours through the crack. 4. Your drains gurgle. Water is supposed to go down and air is supposed to be vented out for the drains to work correctly. If the vent is plugged or broken, the water goes down a bit, the air bubbles up, and only then can the water go down some more. 5. Your drains smell bad. The P-trap is likely the culprit when you have stinky drains. This drain allows the water to drain through, leaving a small amount of water in the P-trap to provide a barrier against odors. 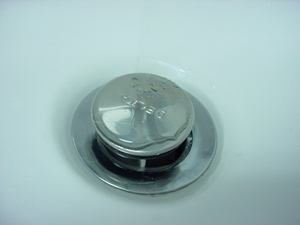 If it a case that the drain has not been used for a long time, it might just be that the P-trap water has evaporated. Try running a little water down the drain to refill the trap. 6. Water leaks out of your faucets when you turn them on but not when they are turned off. The likely plumbing problem here is that you need new o-rings or washers. It is an easy and inexpensive repair. If you are looking for a professional Saint Albans plumber or heating contractor then please call 866-763-5302 or complete our online request form.